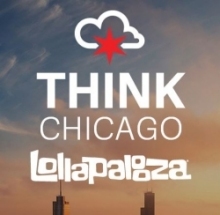 ThinkChicago: Lollapalooza is now accepting applications for participation in the fourth annual installment of the program. Mayor Emanuel, World Business Chicago, University of Illinois, and Lollapalooza will welcome 200 elite technology and engineering students from the nation’s top universities to Chicago for an opportunity to learn about Chicago’s fast-growing tech scene, meet Chicago innovators, technologists, and business leaders, visit business headquarters and innovation hubs, attend Lollapalooza, and participate in a civic tech challenge. Due to overwhelming interest, the 2016 ThinkChicago: Lollapalooza program will expand the number of student participants by an additional 75, from 125 to 200 total. 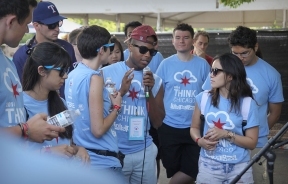 ThinkChicago: Lollapalooza is seeking students with an exceptional academic track record who are enthusiastic about technology, innovation, and/or entrepreneurship with a demonstrated commitment to achievement and excellence in their field. Candidates should be considering Chicago for potential employment, including tech jobs at large corporations, roles within growth stage tech companies or as an entrepreneur starting a new tech endeavor. Candidates that are juniors, seniors, or graduate students with relevant work, internship, leadership, and entrepreneurial experience are especially encouraged to apply. Students can apply by visiting www.thinkchicago.net. Applications must be submitted online by 11:59 pm on Sunday, May 15, 2016.